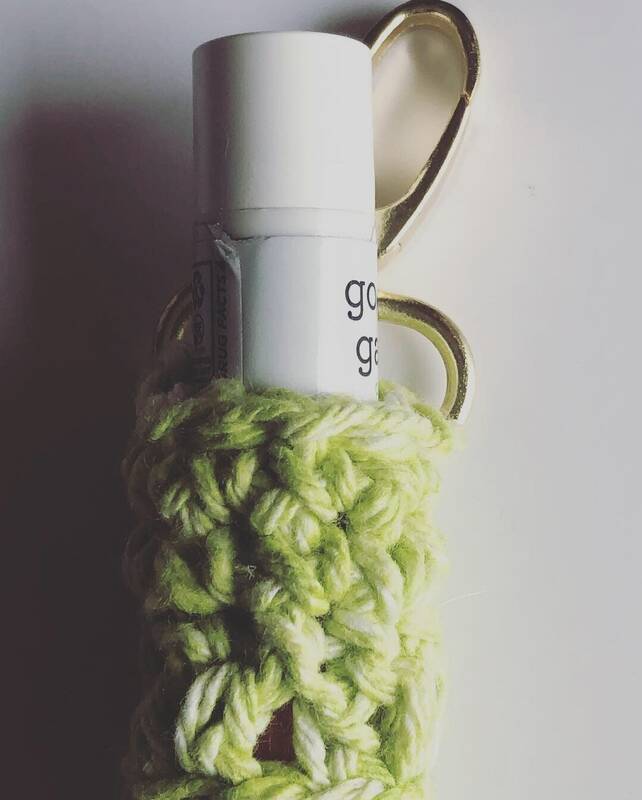 This Lip balm cozy is my answer to many many many lip balms lost, forgotten or misplaced by me or my kids . Lol 😂. 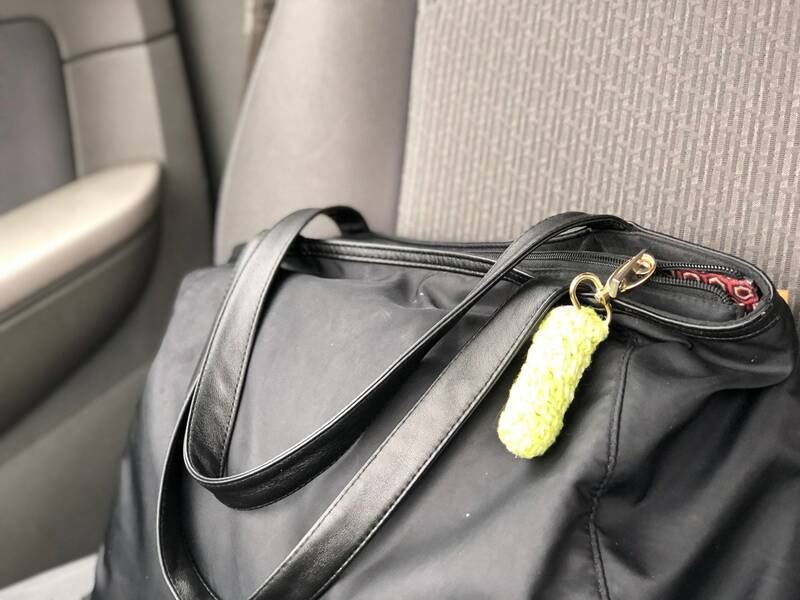 This is also a great little bag for lipstick and lip balms . 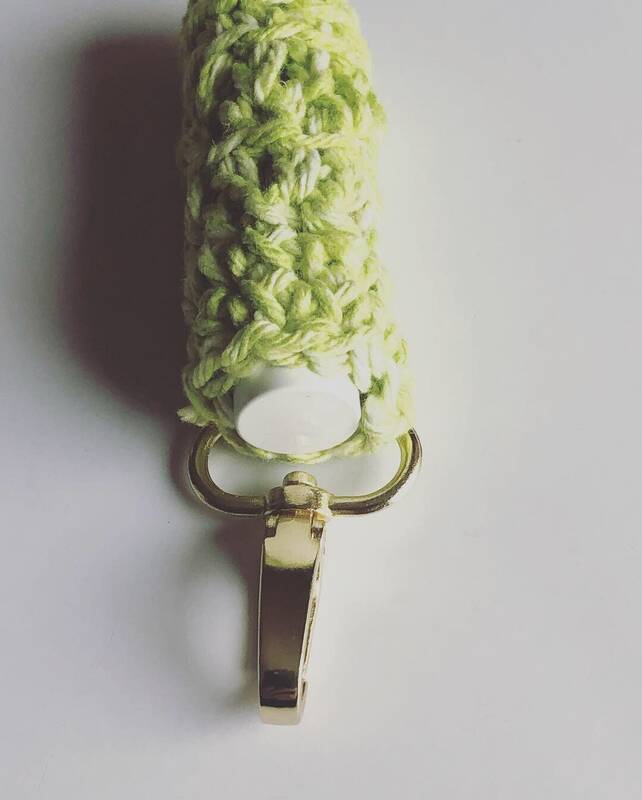 Great for travel, for work or just to hang in the same place in your bathroom or any area of the house. This is also a great addition for any home warming gifts basket. 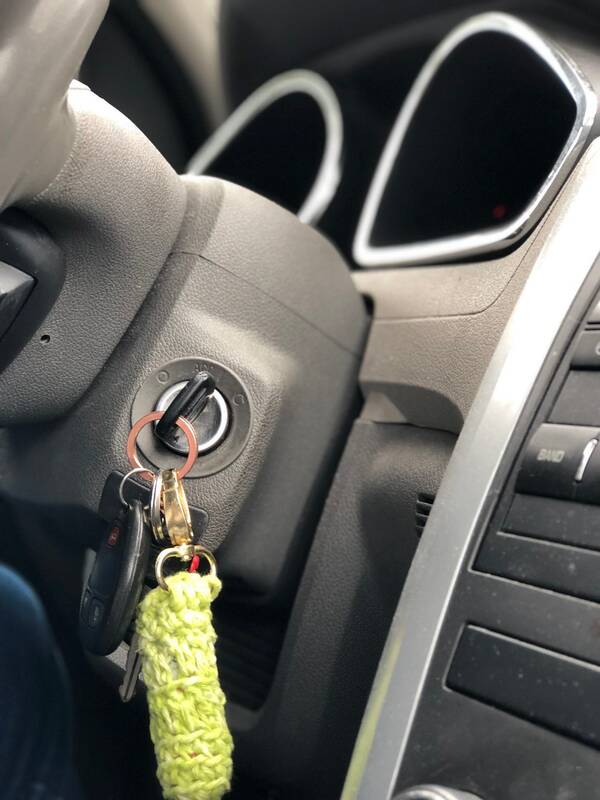 This crocheted cozy is great as a gift for kids, gift for her, summer color gifts and definitely back to school addition. 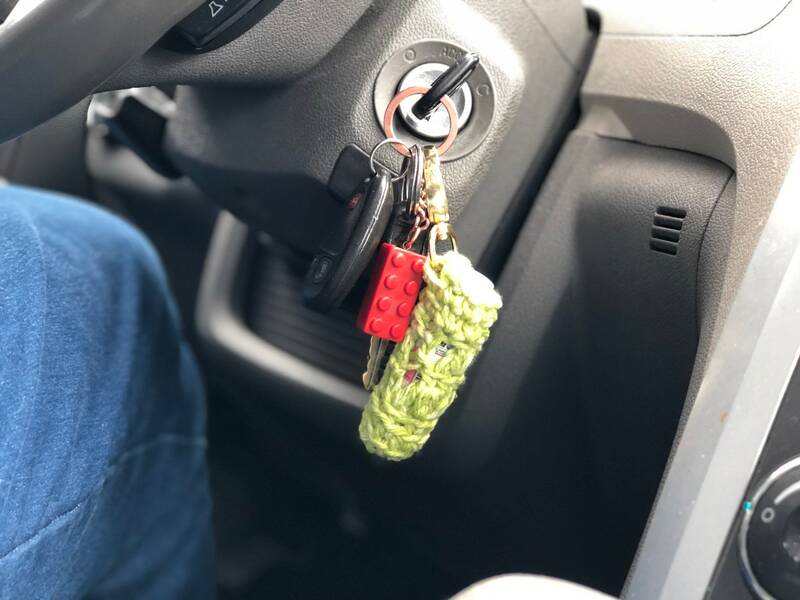 It may hang from a backpack or purse or from your car or home door keychain safely. This lip balm holder has no closing to make it easier for you to reach and use it and then once done , simply and quickly put it back. 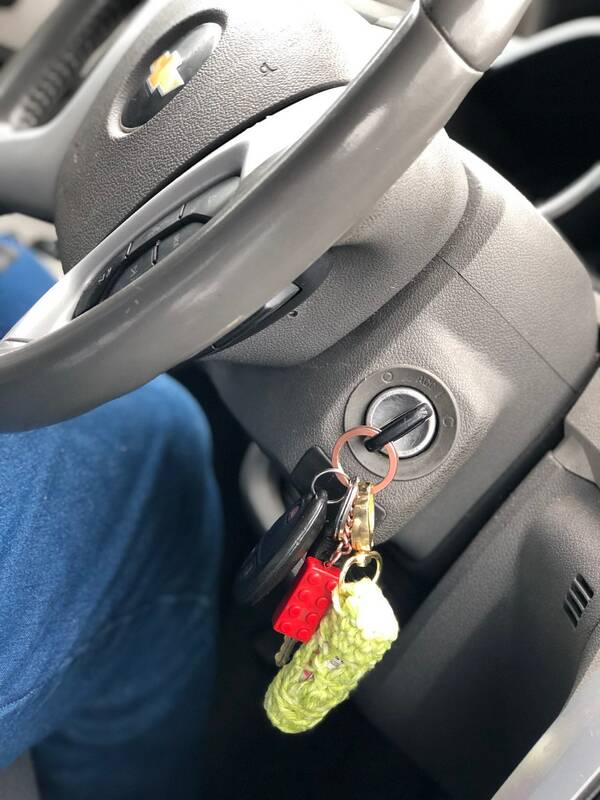 It’s designed to be Very functional for you!! 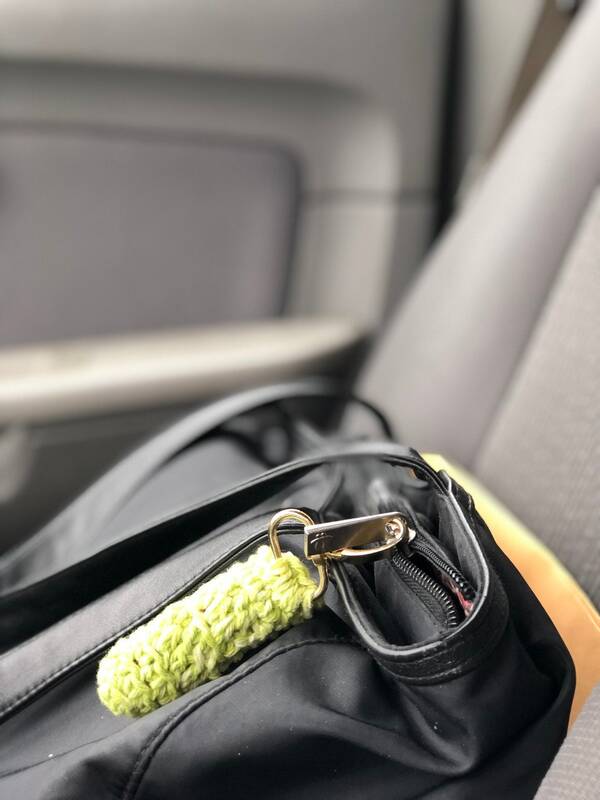 😊 If you are like me I’m always a busy mom “on the go” so this was design to be extremely useful for you! This item has free shipping in the US. 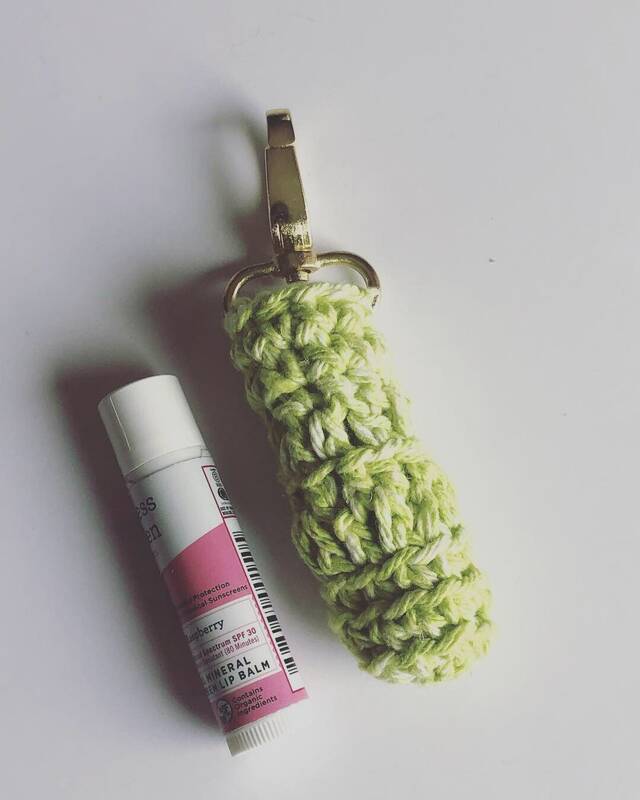 Measurements: The lip balm holder is 3in long x 1 in wide. 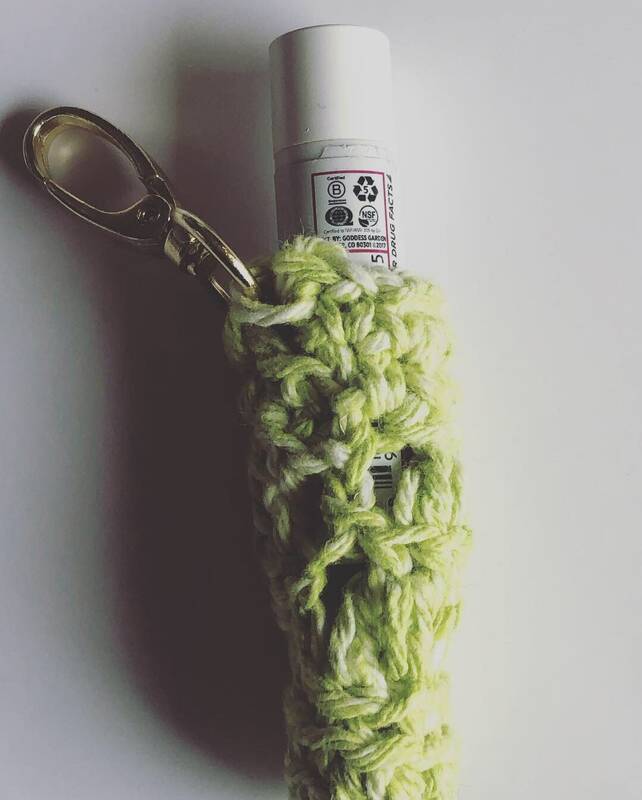 Total length with the keychain clip is approximately 4inches. 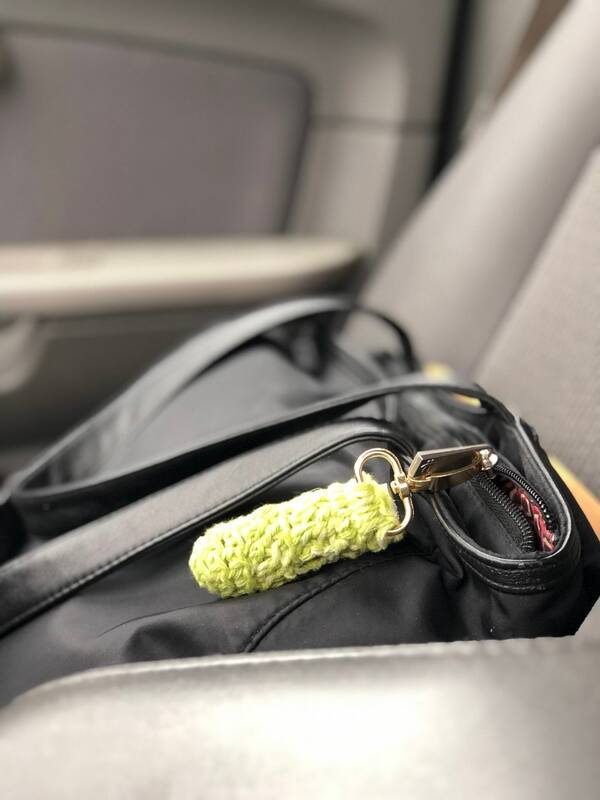 When you purchase this item you will receive a lip balm holder in this green color and attached to the keychain holder. The lip balm and other items in pictures are not included. They have only been added to show dimensions .